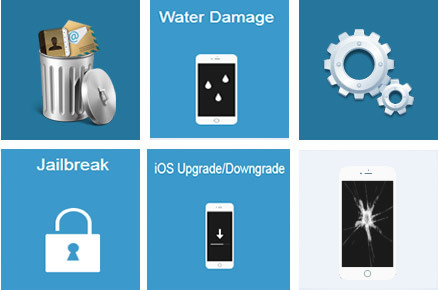 • Recover data from any iPhone that's damaged, has a broken screen, etc. 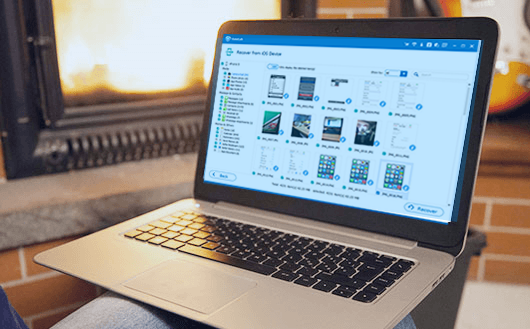 • Recover 19 different types of files: photos, contacts, messages and more. • Retrieve WhatsApp chat and media attachment from iOS device. 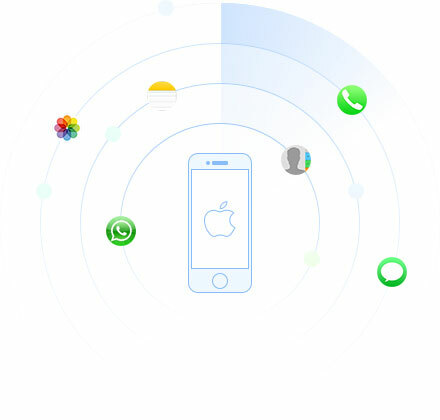 • Recover from the device, iTunes backup, and iCloud backup. • Easily fix multiple issues, including system problems, stuck in recovery, etc. • Over 1,000,000 tests conducted for your safety. We understand how important your message threads and contacts can be, so we've made it super-easy for you to retrieve any lost information from your iPhone, iPad or iPod. Never worry about losing contact information or your boss's messages ever again. Are you an expert or a novice computer user? No problem! 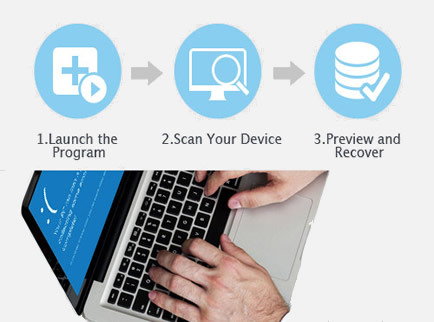 We've made the software as intuitive as possible so you have a seamless recovery experience. Not just text messages and contacts, but documents, WhatsApp data, notes, call logs and thirteen other types of media and data files can be recovered. Don't miss out! All your media can be quickly and painlessly recovered. We know how valuable your photo moments are, and we know the hard work that goes into downloading and compiling a music or video collection. Be smart and keep them safe, but if you lose them, no worries. This iPhone recovery tool will help you get back everything - media, documents, notes and anything else of value. To make sure you get the files that you want, iPhone Data Recovery shows you a preview after scanning your device. You can even preview everything from your iTunes or iCloud backup before you restore or export what you want. Available for iOS 11.0.1/11.1.1/11.2, iOS 10.0/10.1/10.2, iOS 9.0/9.1/9.2/9.2, iOS 8, iOS 7, iOS 6. The software is highly recommended. I thought I'd lost all the photos of my recent holiday with our close family, but when a friend suggested this tool, I immediately downloaded and tried it, and it worked! Thank you so much… I owe you guys BIG TIME. Great tool. Used others quite a bit so I know. Interface is easy on the eyes and the instructions are clearly laid out. I'd suggest this for anyone who isn't a computer nerd but wants to get the job done quickly and easily. Copyright © 2018 AndroidPhonesoft. All Rights Reserved. Android is a trademark of Google, Inc.